Though the latest version of Windows has attracted the attention of many, like all things good, it has its own negatives. Throughout the period that people have been using Windows 10, along with the several updates that happen to improve the latest edition, there have been several complaints arising as well. Users have been continuously finding glitches in everyday operations which continue to make it hard for them to work on their systems. Windows 10, though widely used, like all other Operating Systems continues to carry these glitches despite efforts to improve them. The reasons behind them might be problems that aren’t directly connected with the OS as such, but based on the fact that some of them have already been solved, the problems don’t seem all that difficult for the company to resolve. With each feature update, smaller problems are being addressed and this gives hope that maybe the others might be addressed soon as well. Here are the five prominent glitches that continue to be found in Windows 10. Several computers that have been deemed to be compatible with Windows 10 continue to face problems while upgrading the systems running on older versions of the software like Windows 7 or 8 and this creates a major problem to deal with amongst a lot of users. PCs and Laptops which were tuned to Windows 7 and older are not able to run the latest version through the free update which forces them to continue sticking on to the one they have. 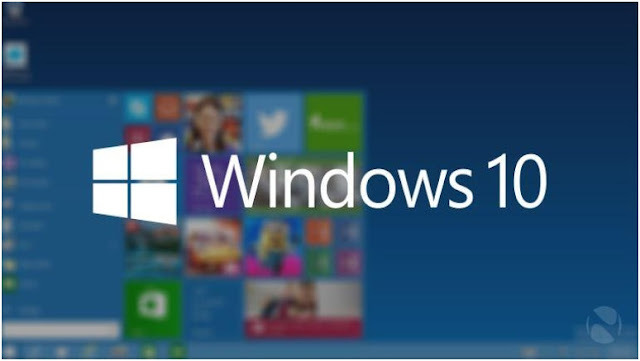 Along with the upgrade of the operating system to that of Windows 10, several of the applications are being upgraded to be viable to this edition as well, which is making them unavailable to the users who are not able to access or run Windows 10 on their devices which ultimately makes a lot of such applications completely inaccessible to them. Many times, this problem lies with the update and the process linked as well, which takes a lot of time and space on the device, an absence of which also creates confusion. The most important aspect of any OS is its ability to protect the PC from viruses, the hazards of the internet, cookies and Safe Mode, is the best way to implement all of these. Getting into Safe Mode here poses to be the biggest problem. Previously in older editions of Windows, this was done by simply pressing F8 and Shift Keys which helped you take immediate action and was far easier than the protocol to be currently followed. Now you have to boot into Windows followed by restarting the computer. The other option is to do it via an application in the Update and Security options in Settings. The problem is that the whole point of using Safe Mode is when you can’t open or boot into Windows. If the current protocol is to be followed, the question arises that how can we proceed with either of the listed options when we are unable to boot into Windows in the first place? There always seems to be a problem while opening different kinds of files from downloads or the internet. Usually when a user wishes to open a file from the Internet Explorer’s Downloads folder or anywhere else, the file is opened by default through an app in the PC. The newest glitch is that the files are being matched with the wrong kind of default apps which are not compatible with these files in the first place and hence fail in opening them. The root of the problem is not the absence of a default app, which is to be noted. The cause is the glitch- the mix-up of a wrong app to a wrong file or simply not recognizing the presence of the default app present or its functions which involve whether or not that app can read a particular kind of file. Though not too serious a glitch, it does interfere with one of the most basic attributes of a PC especially when it concerns the enjoyment and entertainment factor of the user. The ability to not be able to play your DVD is a definite drawback with Windows 10 and this is because the creators of the OS decided to launch the product without a Media player. The classic Windows Media Player will certainly be sorely missed but Microsoft has tried to actively fix this problem by launching a new app called Windows DVD Player app (really subtle) which is free if you have the Media Center inclusive in your OS; otherwise, it will cost you. Perhaps the biggest failure in the latest series of apps launched by Microsoft, Edge is a huge disappointment when compared to its predecessor Internet Explorer. Launched to compete with browsers like its parent-app and Google Chrome, Edge disappointed a large crowd after stirring sky-high expectations. A lot of prominent features present in Internet Explorer have been nullified in Edge, which was developed to be fast-paced enough to keep up with Windows 10. Earning the title of the slowest Browser in history, it continued to disappoint with the huge negative of not being able to save to Favorites. Microsoft did try to address this issue by revamping the browser with being able to save HTML files and open pdf files and while the crowd agrees that it has improved, it has still got a long way to go. Though these glitches might not seem extremely prominent they do make an innate difference to the user and fixing them is a good way to improve the Windows 10 experience. Microsoft has tried to improve several of them with their update and continue to do so via their bi-annual updates. Though there are several ways to try and fix them ourselves, none of these methods are foolproof. That's It Thanks For Following our Tutorial '' 5 Common Glitches That Are Found in Windows 10 that Needs to Fixed '' Along With us If you found any difficulty Please Comment and Share Your Valuable Opinion. And Stay tuned for More Tutorials Like This and Share this with your friends.